EXCLUSIVE! 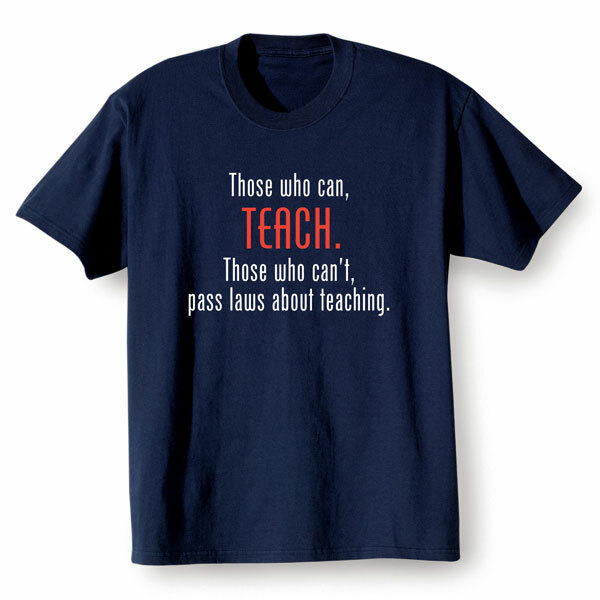 Those who can't, pass laws about teaching. A shirt any hard-working teacher can relate to. 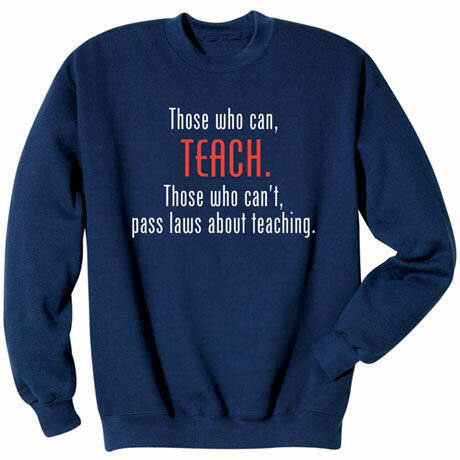 Navy sweatshirt is 50/50 cotton blend; T-shirt is preshrunk 100% cotton. Sizes M - XXL. Imported.